Fallout 76 is different from previous Fallout games in a big way -- multiplayer. It seems very clear to me that this is the main focus and selling point of the game, so everyone should keep that in mind when reviewing and reading reviews. 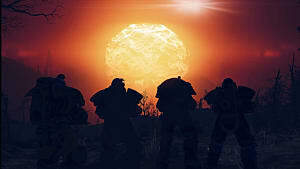 I, and many other fans of the series, have wanted to be able to play co-op/multiplayer in a Fallout game. For people like me this was a dream come true when it was announced. Although multiplayer is a huge part of this game, you can still play solo. 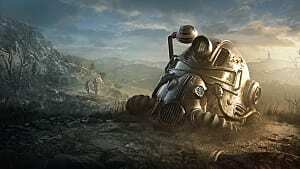 There is more to this game and some changes that don't only apply to only multiplayer, so I've taken all of that into account when I came up with my thoughts, and score, of Fallout 76. It should be no surprise this is first on my list and easily my favorite thing about this game. 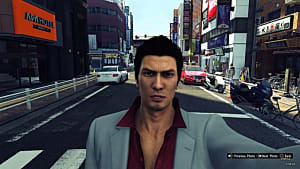 I'm the kind of person that enjoys single player games, but think about how I'd have even more fun if I could play it cooperatively with another player. The ability to play through the whole game with one or more friends is so fun and adds much more depth when deciding how to build your character. In previous games I might make multiple characters to see different things. For example, if I want to hack terminals, I need to have a high Intelligence stat. If I do this, I'm missing out on other things I could do. If I play with friends though, somebody can choose to have a high Intelligence stat to hack the terminals, and the other players can do other things to cover what's missing. It's fun to plan out things and compliment each other to survive the world of Fallout. I realize that this only applies to those that play with a dedicated group of friends, but it is still a cool concept. It also makes exploration easier and more enjoyable. If I go up against a tough enemy alone, I might have some trouble. If I do it with a friend or two, it will be much easier. We can also search areas more thoroughly and take less time doing so. 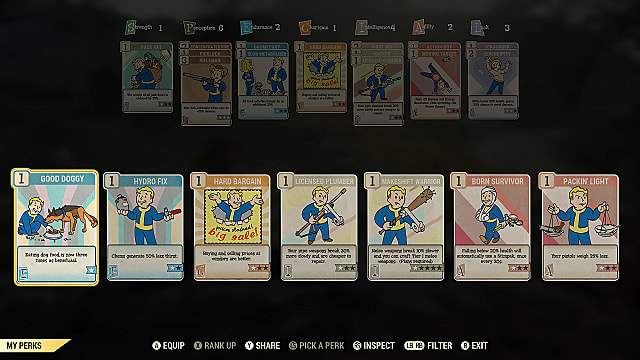 I like that perks are in cards now. 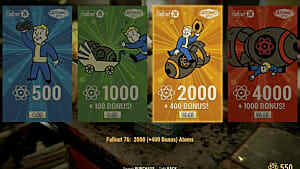 This allows you to get many different perks, but also lets you swap them out. If you decide you don't want a perk anymore, or don't see anything you want at the time, that's fine! You can just put a different perk on, so you have much more flexibility. 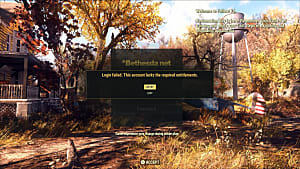 Building is very similar to how it was in Fallout 4, but now you can put your base nearly anywhere you want, and even move it at will. You can also save a layout to a blueprint so that you can easily build again if you move, though this feature doesn't always work the way I'd like it. Depending on how you set it up, it can be hard to find another location with the same terrain so that you can actually fit the blueprint in the area. 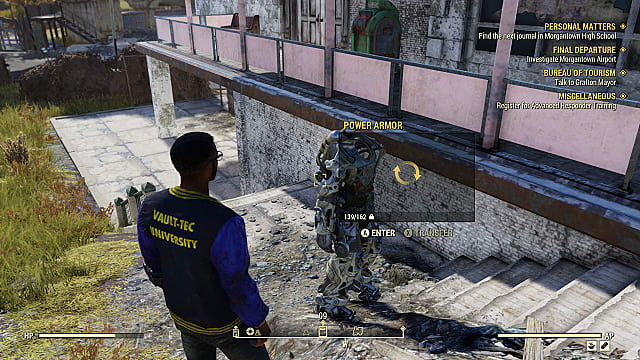 I love how you can get power armor early in the game, even if you can;t use the armor pieces until later. Power Armor is definitely one of the coolest items you can acquire in Fallout, so it's nice to have them in abundance. 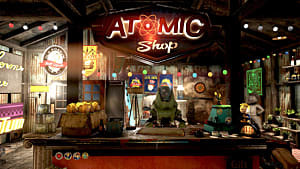 Since this is an online game, things respawn, so that makes getting power armor and other great items even easier. Events are fantastic because they give you a constant stream of things to do when you aren't doing the main or side quests. They will just popup in an area and you have a limited time to complete them. 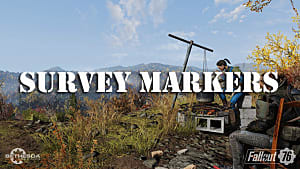 Letting players fast travel to these events, and giving rewards to everyone in the area, is a great way to put players in contact with each other. I do see instances where some players could just leech off of others, but it is still a good system. There are also so many cool moments that can happen since it is an online game. You might meet someone having trouble on a quest or a certain enemy, then jump in to help them. You might be minding your own business in your C.A.M.P. then get attacked out of nowhere by a group of players trying to take your stuff. The amount of spontaneity this game allows gives the game the potential to last a long time for multiplayer-oriented players who want to play the game in less of a rush. I think things weigh too much in this game. This causes me to go back to C.A.M.P. or find random stations more than I'd like and makes the game feel more like an inventory simulator at times. Bethesda has already announced plans to increase player stash, which helps, but my real problem is the player carrying weight. This causes some players to feel like they need to invest in Strength, certain power armors, or perks just to make the game less tedious. It's almost funny how even though this is a multiplayer Fallout, it feels more empty and alone than previous games. 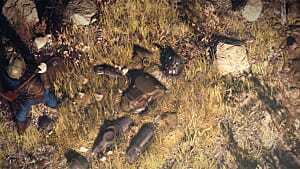 The lack of living NPCs really makes the game feel more empty than anything. All your interactions are through notes or recordings, and anyone you do end up finding probably already died a while ago. Now, I haven't seen every single thing in the game -- but it doesn't look like I'll be running into another human that isn't a player anytime soon. I must admit that even though I love the multiplayer aspect of the game, I do not enjoy playing the game solo. Sure you can do it, there's perks for being solo, but it just isn't much fun like it was in previous games. The fact that it is online, even when playing solo, makes it a struggle to play at times. I need to logout of the game anytime I 'm going to be away for even a few minutes because my hunger and thirst bar will deplete. Then, I'm going to use more items than I need, just to keep my character functional. I've also run into lag and freezing multiple times while trying to play through. One time I saw an enemy and went to engage, but the game stuttered for about ten seconds. When it smoothed out, I found myself being attacked by three enemies. If this was a dangerous area, that could have meant I was dead without anyway to defend myself. The game completely froze multiple times as well and I was forced to shut the game down and restart it. The good thing is that the game auto saves and you won't lose progress, but it is still frustrating, especially if I'm in the middle of an event with a group of strangers. 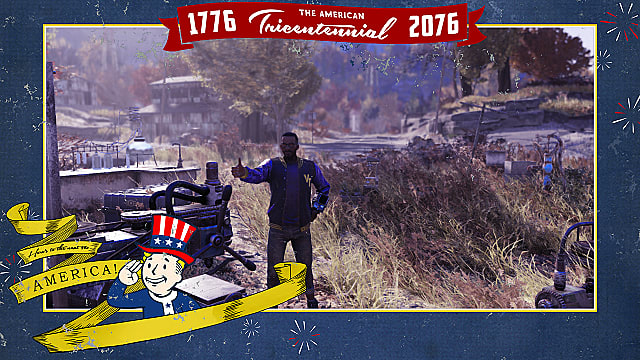 I think this is an enjoyable Fallout experience, but one very tailored to playing with others. It is a decent enough game to play solo, but I don't think many people will enjoy it if they never play multiplayer. My honest opinion is that if you don't want to play multiplayer, you probably won't like Fallout 76. 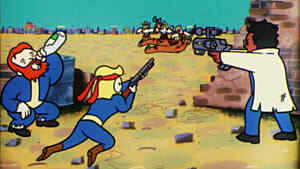 However, if you really enjoy playing co-op and have always wanted to play Fallout with others, this is the game for you.